Most of the collaboration on The Voice took place by means of technology: through email, Internet, SKYPE, and cell phones. In some cases the work was personal, that is, people knew and worked closely with their reviewers and commentators. In other cases the work was anonymous. It is standard practice, for example, in scholarly work for a person’s book or article to be reviewed anonymously, meaning both the writers and reviewers do not know the identity of the person offering the review. This process ensures that a person’s feelings—positively or negatively—about another does not affect the quality of the review. I understood the need for those checks and balances. But there were a few remarkable occasions when writers and scholars actually sat down together, face-to-face, to work through a translation. One of my favorite times working on The Voice project took place in Austin, TX. 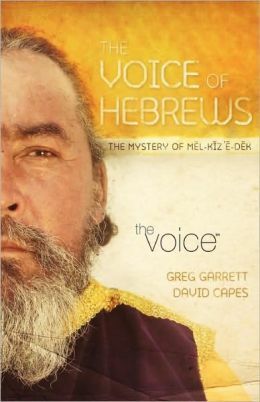 Greg Garrett, a noted novelist, was working on the translation of the book of Hebrews, so I drove over to spend a few days with him. It was summer so he had arranged for us to work in empty classrooms at the Episcopal Theological Seminary of the Southwest, an institution where he was writer-in-residence. The staff of the school graciously allowed me to stay in one of the dorm rooms—on The Voice discount of course. Over the next few days Greg and I shared meals, swopped stories, and settled down over the Greek text of the letter to the Hebrews. I watched carefully and listened closely as Greg, a gifted writer, worked through the challenging prose of the New Testament’s most sophisticated and difficult-to-translate books. We plotted the argument and puzzled over the best way to communicate to our modern audience the way our anonymous Jewish author went about persuading his Jewish audience about the superiority of God’s new covenant. I remember watching Greg count out the syllables, the rhythm, of the prose. I learned from watching Greg that well crafted prose has a rhythm; meter is not restricted to poetry. I had never thought of it before, but working with Greg convinced me it was true. I remember leaving Austin on the last day a bit sad. Greg and I had run out of time, and we had not been able to translate through all 13 chapters of this tough letter. We would have to go back to our respective lives to complete it, in between other duties. I was sad too that more of my Voice-related experience had been so isolated. Translation is often a solitary experience—the nature of the discipline demands it be so—even if you are working in a “collaborative environment.” As I started the car and headed for home, I was grateful for Greg’s talent and friendship. When I look back, those were good days. By David B. Capes in Uncategorized on February 25, 2013 .